History was made on Wednesday, January 17, as two female officers were winged by the Nigerian Air Force after embarking on a one-year training programme in Westline Aviation in South Africa, where they qualified as pilots. They are Flying Officers OS Ijelu and GC Nwaogwgwu. 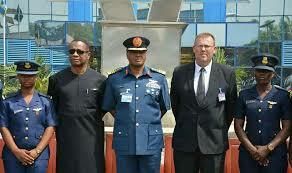 They were winged alongside 9 other male flying officers in a ceremony which a former Chief of Defence Staff, Air Chief Marshal Paul Dike (rtd) was the guest of honour. Congrats to the ladies and the guys.